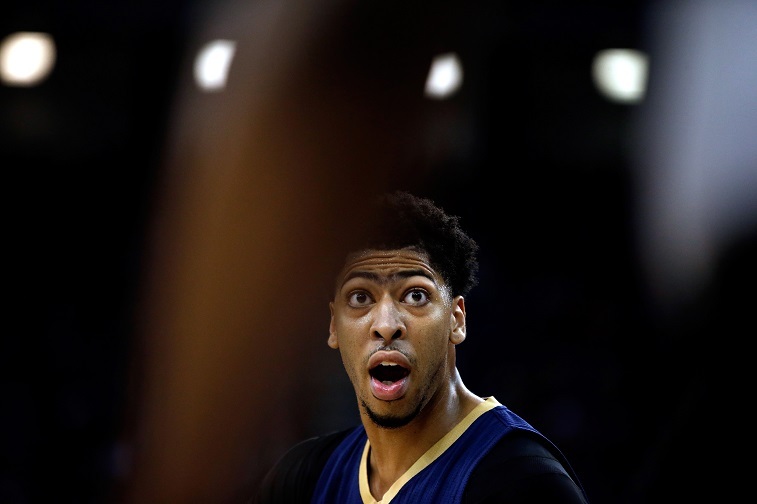 If everything goes according to plan, Anthony Davis will be the face — and eyebrow — of the National Basketball Association for the next decade and counting. With LeBron James the face of the present, along with Kevin Durant, not to mention an army of All-Star-caliber point guards waiting in the wings to become the newest icons in one of the most visible sports industries around today, that might seem like a bit of a disingenuous proposition. But Davis above all others has the physical presence, basketball IQ, and talent to be the best big man since Hakeem. Or at least the best since Tim Duncan or Kevin Garnett. He’s also in a unique position in NBA history, caught between a collective bargaining agreement agreed upon before he arrived and one that is slated to crumble just as his rookie contract is coming to an end. 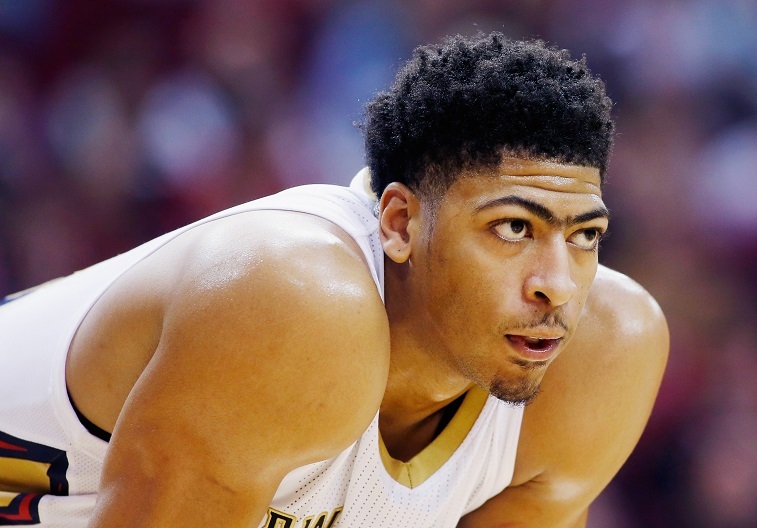 To be clear, if Davis hits free agency, the New Orleans Pelicans will suffer a collective panic attack. While NBA players possess more self-determination than nearly any of their peers in the major sports world, one of the hallmarks of the 2011 CBA was the way they handled contracts. In order to discourage superstars from pulling a LeBron James-to-Miami or a Carmelo Anthony-in-Denver situation, the home team can offer the player a contract no other team can match. If you’ve got a restricted free agents on your hand — which Davis is — you can sign him to a five-year max contract with a 7.5% salary increase each year. That salary is unavailable in sign and trades, and it’s a considerable sum higher than what the other teams can offer: four years at 4.5% yearly raises on the base rate. While there is no standardized “max contract” — the size is determined by how many years you’ve played in the NBA — the difference was the reason Miami could sign Chris Bosh to a deal worth $100 million, while Houston could only offer $88. 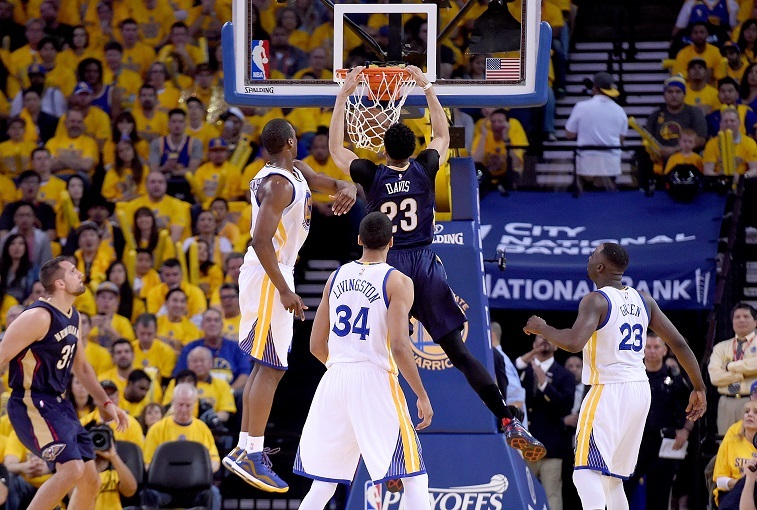 As it stands, the Pelicans are going to offer Davis a five-year deal worth approximately $119 million next year. In case you’re wondering where the math came from, the salary cap is projected to hit $89 million next season. Davis is eligible for a contract paying him 25% of the cap each year, or $22.5 million, with a raise of $1.68 million each year after the first. But he could make even more money as an unrestricted free agent the season after that, when the salary cap explodes. How much more? Enough to make him stop and think about taking the qualifying offer next year. If Davis takes the QO, he’ll be the first bona fide destined-for-stardom rookie to go that route — the definition there is a little hazy, sure, but we’re talking the Derrick Rose, Russell Westbrook, Kevin Durant, John Wall strata of player, not the Greg Monroe types — so the ground he’s walking on is unprecedented under the modern CBA. Steph Curry is a notable exception, but ankle issues shut him down before he became an MVP-caliber player, and the Warriors were able to leverage his injury-riddled 2011-2012 season into his current contract, which is an incredible bargain for the Dubs. The difference in alleged income is enormous. Assuming that Davis does sign the qualifying offer, his next big contract will be a behemoth. Remember, one of the reasons to sign the QO is to enter the market as an unrestricted free agent, meaning that the Pelicans could be priced out of the Davis sweepstakes by any other team in the league. With every team that can afford it being able to throw the same max deal at the Brow, there’s no doubt that he’ll be able to focus on the intangibles that define free agency when it isn’t about the money: state income tax, weather, how good his supporting cast would be. Oh, and there’s the fact that the salary cap will be $20 million higher in 2017. Using that $108 million figure, an UFA Davis would stand to make $27 million in his first year and ultimately earn around $145 million over five years, factoring in the 7.5% annual raise on that figure. It goes without saying that Davis would probably rather earn $26 million more — plus the QO, of course. You’ve almost certainly heard of the cookie analogy regarding having one today or two in two days, but to look at it in that vacuum ignores two very real NBA possibilities: injuries and a new CBA. While Davis is far from a Bill Walton or a Greg Oden, it’s worth noting that he has missed at least 10 games in every single NBA season he’s been a part of since being drafted first overall in 2012. We’d never wish injury on anyone, but one thing franchise owners are not is sympathetic. That is to say that if Davis were to take the qualifying offer in an effort to land a larger contract in 2017, only to find himself hurt, injured, or otherwise not performing to his peak potential, then executives would probably balk at paying him the $145 million we guesstimated earlier. There’s precedent for that with Brooklyn’s Brook Lopez, who could opt out of a $16 million year in his current contract to hit free agency earlier. He’d miss out on the salary cap increase, but with someone as chronically injured as he is, forgoing $16 million for a long0term deal — say four years, $40 million — would seem to make the most sense. There’s also the fact that the max contract status could be changed under a new CBA. Returning to Carmelo for a moment, it’s important to remember that he wanted to resolve his extend-and-trade to New York, rather that wait for free agency, because there was a possibility that his financial security, in the relative sense, was in jeopardy. It’s easy to chide someone for wanting to make $20 million a year instead of $18 million, but the reality of the situation is that he was right, and he would’ve signed a smaller deal had he joined the Knicks once the lockout ended. It’s entirely possible that Davis is thinking the same thing, even if he’ll be making less on paper.